Mr. Sims received his B.B.A. from Texas Wesleyan University, with a Major in Business Communications and a double Minor in Economics and Psychology. He also attended Texas Christian University, working toward his Masters in Human Resources. Mr. Sims is active in local political programs and serves as Prescient Chair for his neighborhood, and is on the Executive Committee for Tarrant County. 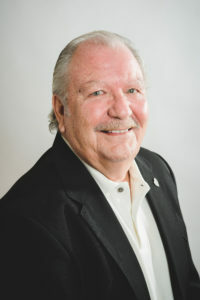 He is active in the local Greater Fort Worth Association of Realtors, where he has served on numerous committees in addition to two terms as a Director. Mr. Sims also serves the Texas Association of Realtors as a Regional Vice President, a position he has held for the past 4 years. He is the Region 3 representative for the TAR Political Involvement Council, and is the current Chairman of the Property Management Committee. He is active in the National Association of Residential Property Managers (NARPM), and is designated as a Residential Management Professional and a Master Property Manager, the two highest designations offered by NARPM. Mr. Sims is currently on the Governmental Affairs Committee and is a trustee for the NARPM PAC. Locally, he has served as a past president of the Fort Worth/Mid-Cities Chapter of NARPM, and is a member of the Dallas Chapter.